With the World Cup just seven days away, two squads took huge blows today when it was announced that their captains will not participate in the tournament. 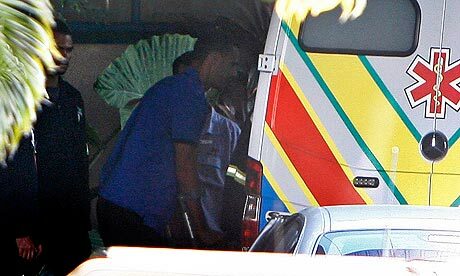 While neither player has fallen cold and dead, they both fell this morning and will sit out due to injury. The biggest loss is that of Didier Drogba, one of the world’s top strikers who plays for Africa’s top nation, Ivory Coast. 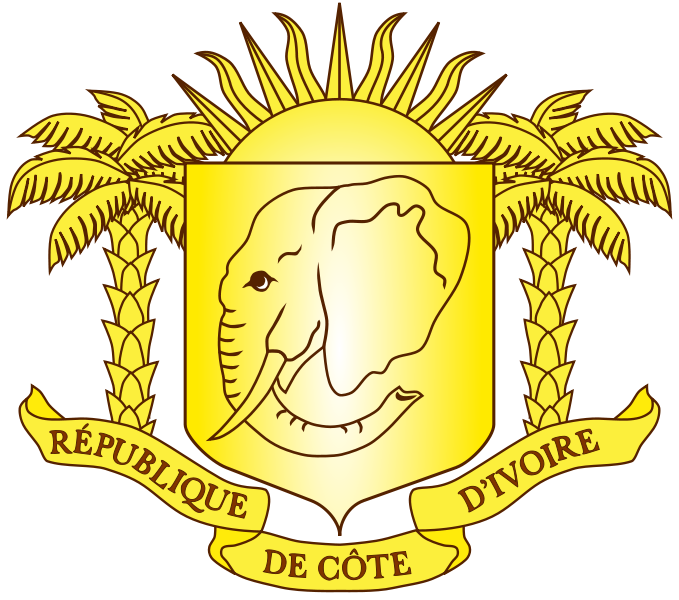 You won’t find them on a map—they are officially the “Republic of Côte d’Ivoire” and prefer the French be used in all languages—but they have a legitimate shot at advancing from their bracket. 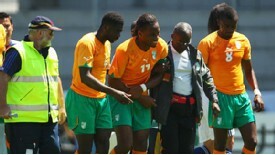 Without their leader Drogba, Ivory Coast’s chances take a serious nosedive. He is not only their most talented and widely known player, but their off-field leader as well. He is a cultural icon in the country, especially so after 2005 when he led Ivory Coast to its first ever World Cup qualification, one that put the nation’s civil war on hold. But now, he will be a mere spectator at the games after reports surfaced today that the 6’2” forward will not play due to a broken right arm suffered in a tune up game with Japan early this morning. He was subbed out in the 18th minute after having a knee collide with his arm during a tackle. A write-up of the injury says Japanese defender Marcus Tulio Tanaka was shown a yellow card for the tackle, but the match summary does not have any bookings listed for Japan. It should be noted that the report is coming from Ivory Coast players and that the Elephants have not officially ruled Drogba out of the contest. While no one ever celebrates an injury, this is certainly good news for Portugal, who will compete with Ivory Coast for the final spot to advance from Group G behind the mighty Brazilians. As someone who as broken an arm before, I would be disappointed in Drogba if he missed the tournament due to the arm. Certainly every injury is different and everyone’s body responds differently, but I know I could have played soccer with a cast on. Drogba is 32-years-old, which may make this the last World Cup he could play in, and it would be an utter shame should he miss it. I don’t think Ivory Coast has the talent to phase him out in four years, but his body may not hold up that long. Ivory Coast opens tournament play June 15 versus Portugal at 10 a.m. ET. England also lost its captain early this morning. Star defender Rio Ferdinand suffered ligament damage to his left knee during the English side’s first practice in South Africa. The injury occurred during training when Ferdinand attempted to execute what coach Fabio Capello called a “minor tackle.” He was later reportedly seen leaving a hospital on crutches, and England already has a replacement in mind. The loss of Ferdinand will hurt England as he is one of the better defenders in the world, let alone on the English roster; however, England has more depth to cope with the loss than does Ivory Coast. The injury puts a damper on England’s spirit heading into the contest, but it does not drastically affect their outlook on advancing from Group C. I still expect England and the United States to advance from pool play, although this gives the States an edge against the otherwise more talented English squad. Steven Gerrard will take over as captain for England when they open against the USA on June 12. The game is at 2:30 p.m. ET and will be aired on ABC. Both Drogba and Ferdinand play professionally in the English Premier League; Drogba for Chelsea and Ferdinand for Manchester United. The video game FIFA ’10 rates Drogba as an 85 and Ferdinand as an 86.